With Windows XP no longer supported, Vista has abdicated its throne to Windows 7. Vista has received the same general criticisms across the board, as being too resource intensive, and slow compared to its predecessor and successor. If you are still using Windows Vista, unimpressed with the visuals, and grumble about these inadequacies here are some ways to help you cope. Much how like a book you can’t judge it by its cover. You can turn off all that fanciness that gives Vista its distinctive feel of shiny gradients and smokey transparent windows. Just right-click on the desktop–> select Personalize –> and go with the Windows Classics colors and themes. If you like the sound of getting rid of all that fancy stuff, you can take it a step even further. Click Visual Effects, and you will see the option to un-check boxes that put on that show. You can go all the way and select Adjust for Best Performance or you can just turn off a few. Don’t use the sidebar much? What about other resource-hogging Windows features? You can turn off the extra clutter and reclaim more screen ‘real-estate’. Right-click on it–>Properties–>Uncheck the box to start it up on boot, then right-click it again and close it. ReadyBoost is an underrated and under-appreciated technology that I still call new not too many Windows users know exactly what it is and what it can do. ReadyBoost allows you to use the unused space on an external storage device (such as a USB drive or SD card) as additional RAM, which can help provide a performance boost and speed up your use of Windows Vista. It’s pretty easy to use. When you connect ReadyBoost compatible hardware to your PC, Windows will automatically give you the option to use it as a ReadyBoost device. Just check for the ReadyBoost option in the AutoPlay window that automatically pops up after you connect the device. There will also be the opportunity to set how much of the card/device you want to allow for use as extra RAM so you can still use a portion of the storage device to store files. This is particularly useful for net-books and laptops that are a few years old. If these measures still do not bring you to an area you demand out of your system there is an even more radical approach. I stumbled upon this free software called vLite. It removes and slices out default parts of Vista, (like Windows Mail, Windows Media Player, Slideshow), that you deem unworthy. Keep in mind, however, that this software is for more advanced Windows users and the effects are permanent unless you do perform a system rollback. 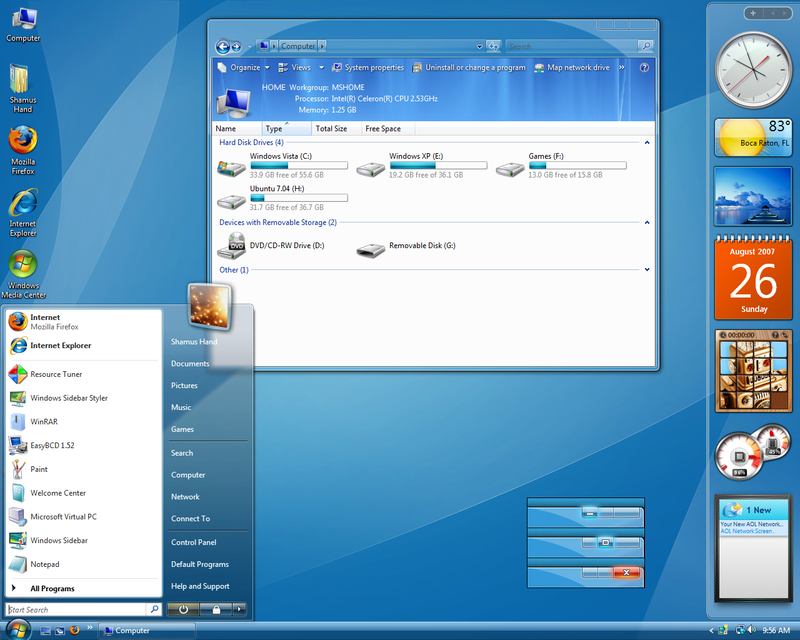 Follow these tips and you should get maximum performance out of your Windows Vista computer. Also, to keep up with the maintenance of your computer automatically, try our Free Computer Maintenance software.